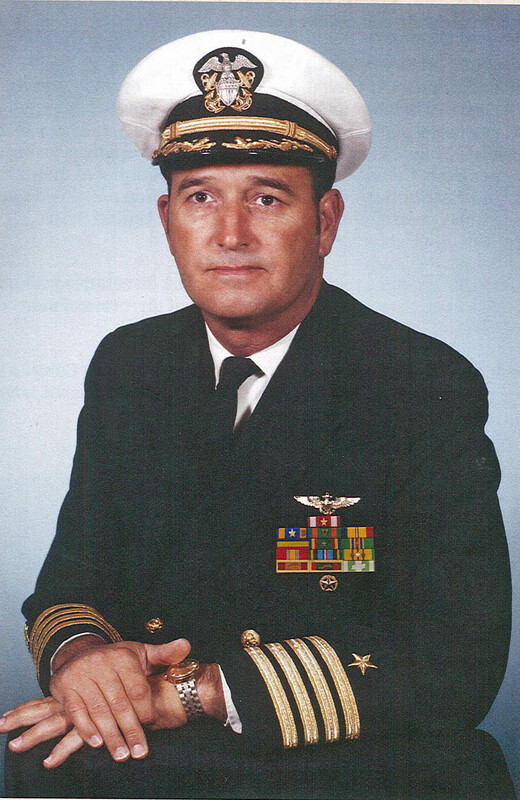 Captain Caine, a Naval Aviator and Naval Helicopter pilot, served 24 years retiring from the Navy in 1980. Paul Caine was credited with 13 helicopter rescues during search and rescue operations in the Tonkin Gulf during the Viet Nam War, including 80 combat missions. He was selected as a recovery pilot for Apollo 4 spacecraft, including serving as Commanding Officer of Helicopter Anti-Submarine Squadron Eight (HS-8) as well as air group commander and air wing commodore.